This eye-catching template features a simple and flexible design that lets your business take center stage. Great for those with equal amounts of photography, illustrations and content. 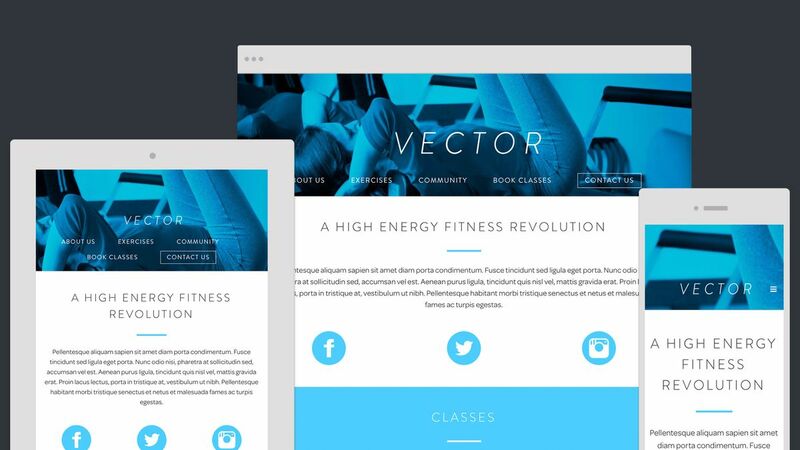 Popular with fitness professionals and other types of business, Vector lets you communicate your unique brand in an exciting way.